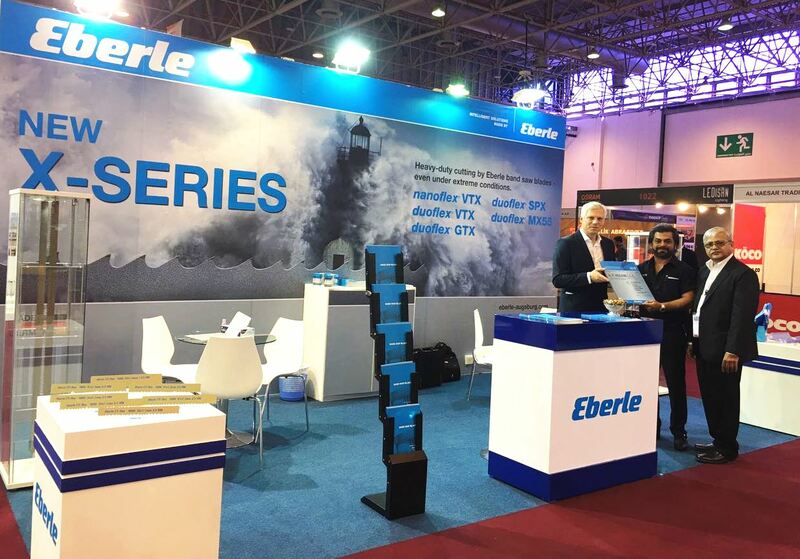 At the this year’s SteelFab in Sharjah which took place from 15. – 18. January our metal band saw partner A.F. Husain LLC presented the Eberle band saw program on a generously designed booth. This successful cooperation with our partner began at the SteelFab in January 2016. Since then, the business partnership has been intensified. The audience enthusiasm for our comprehensive band saw product portfolio and the new carbide tipped saw blade CT-flex® Alu XS was on all sides noticeable. Again, it has been confirmed by our customers that the Eberle metal band saw program exactly meets the oil and gas industry’s requirements. For every cutting application Eberle offers the right solution with a perfectly running high-performance band saw blade. We would like to express our deepest gratitude to our partner. A.F. 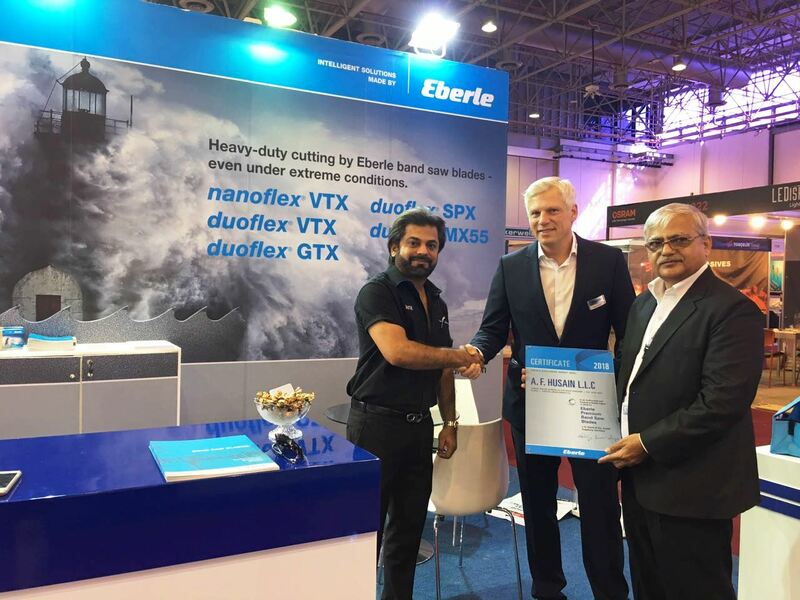 Husain LLC organized and realized this outstanding Eberle booth at the SteelFab 2018 which attracted an extraordinary wide range of visitor segments.